With all the competitions out there, big companies had came up with lots of flagship mobile phones packed with high-end specs but of course, most of them comes with a jaw dropping price tag. 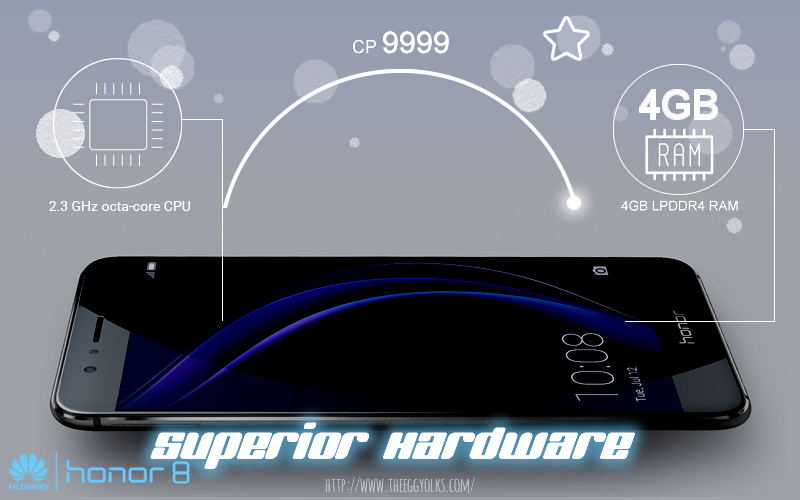 Thus, in order to win the heart of Super-Duper-Thrifty people like me, Huawei has come up with Honor 8. There are only 3 words needed to sum up this phone! "平靓正"! 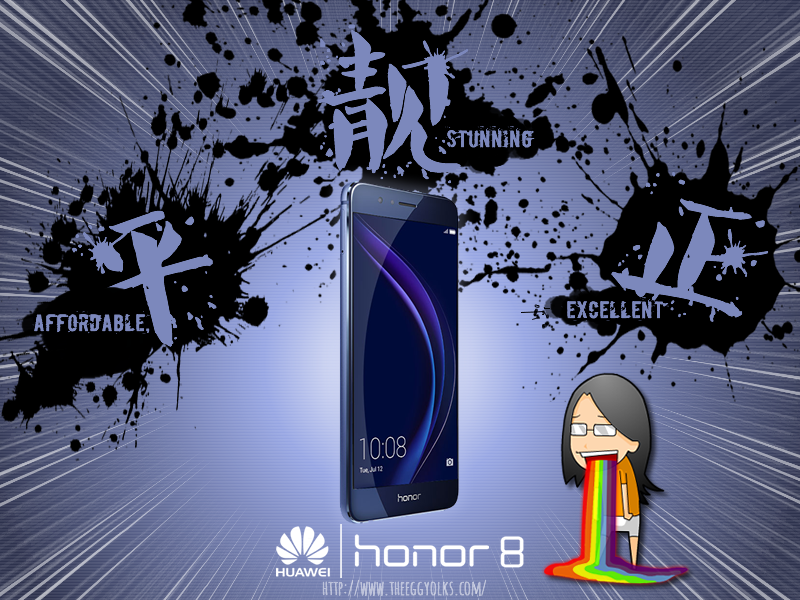 *Which literally means "Affordable, Stunning, Excellent"
Here are the 8 reason why one should get an Honor 8. 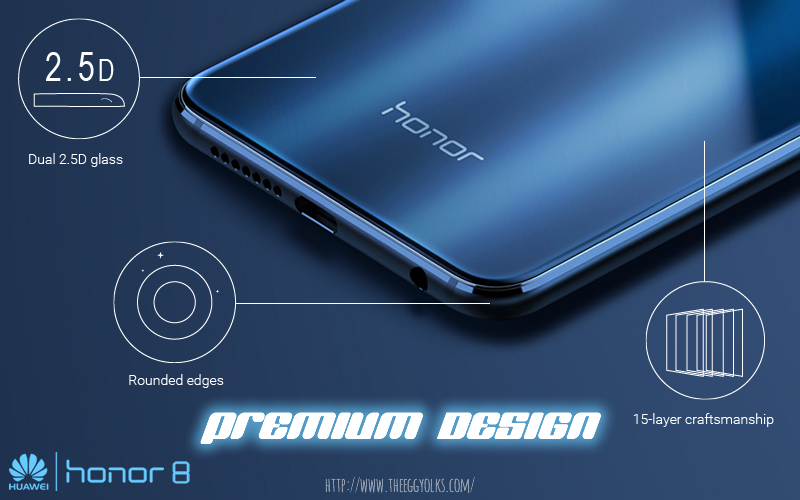 Honor 8 is built with 15 layers Perfectly crafted glass, front and back. The reflection creates different patterns under different light condition making it absolutely stunning. 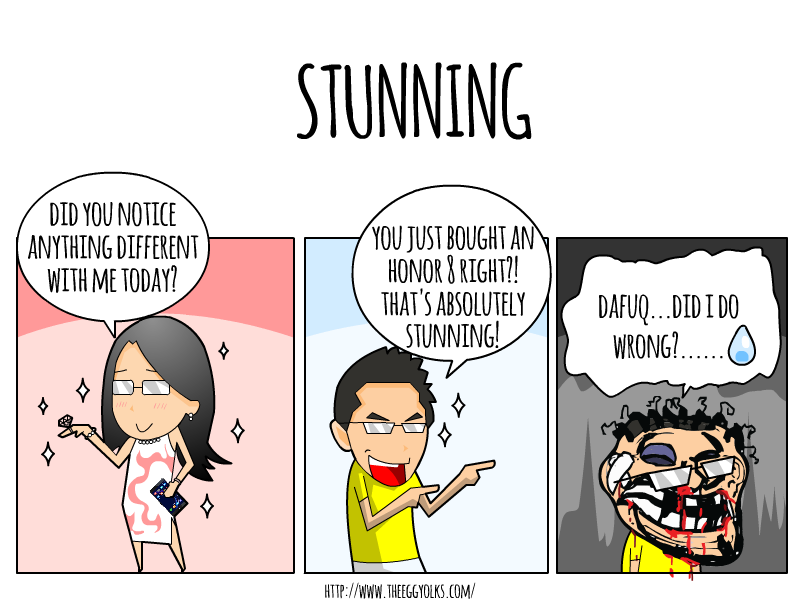 No way anyone would have missed out noticing your new Honor 8. 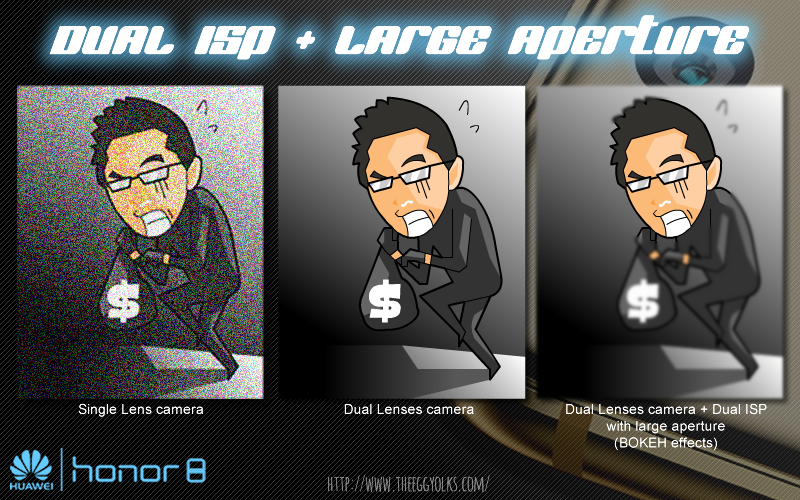 With the help of the dual lenses, it is extremely reliable in low-light condition. Not only that, the wide aperture mode from F0.95 - F16 enable user to create bokeh effects. 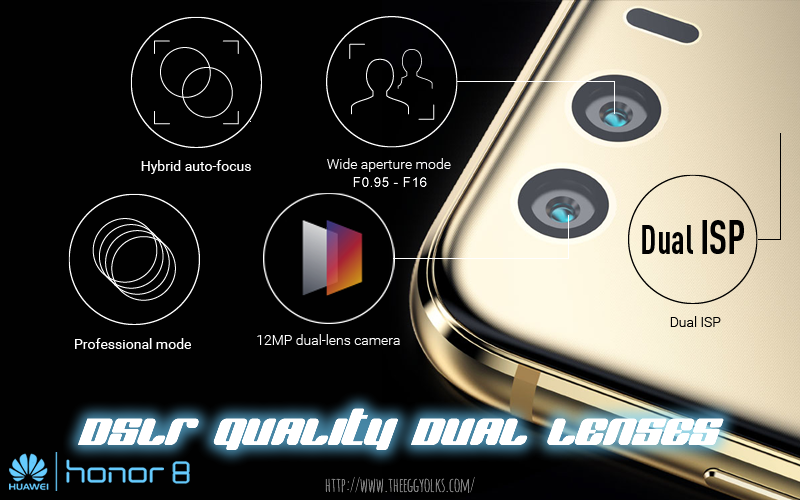 Moreover, it comes with a 8.0MP front camera with Perfect selfie mode. It functions almost like a full range DSLR! Who needs a heavy DSLR anymore? It comes with 4 GB of RAM and a powerful 2.3Ghz Octa core Hisilicon Kirin 950 processor. It feels like as if there is CP 9999 monster is living in this phone! *you should know what is CP if you''re a Pokemon Go player! 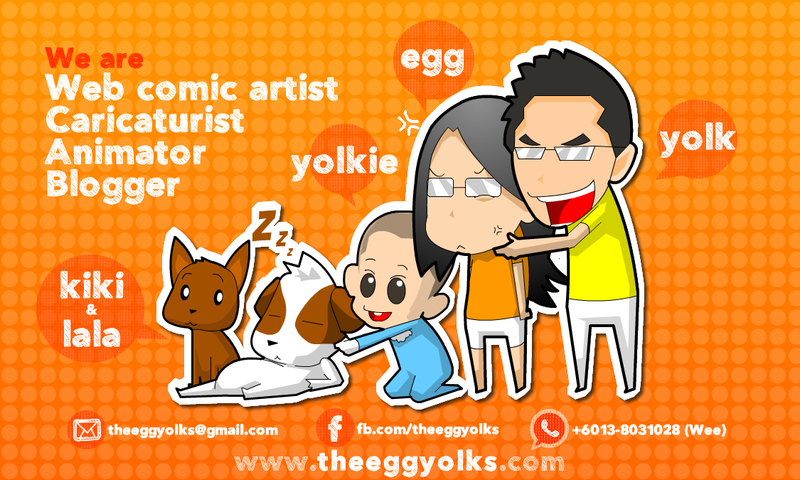 You can assure to enjoy flawless multitasking and seamless gaming. Honor 8 comes with two models, the 32GB version and the 64GB version. 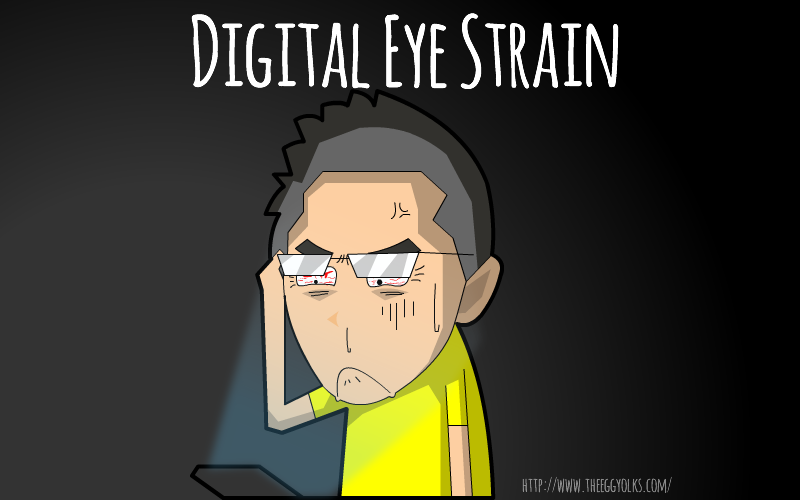 Heavy gamer like me will never tolerate any lags especially when I'm doing PVP (player vs player) online. A slight lag will cause me losing the entire match. With this enhanced fingerprint recognition security features, it ensures that only the right owner can unlock the phone. There's more hidden in the sleeve! 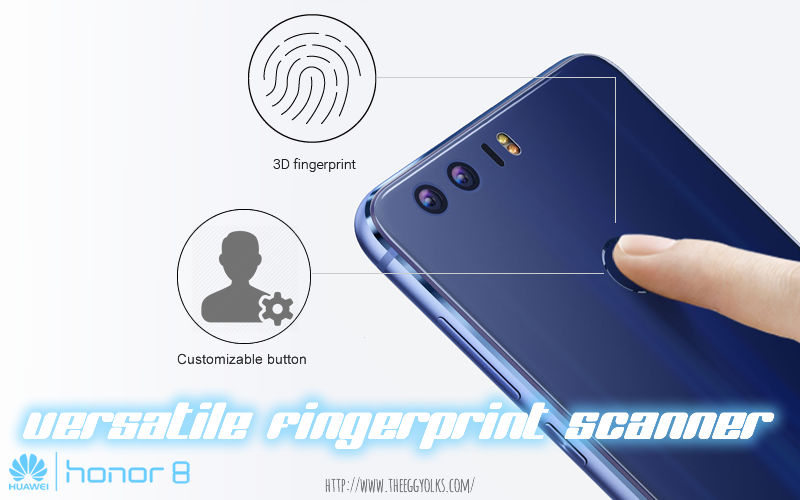 The fingerprint scanner also acts as shortcuts to the phones applications. Now you don't have to worry about people playing with your phone and "accidentally" posted some "sensitive" status on your social platform! Honor 8 comes with a huge 5.2" FHD screen which provides brilliant colors that brings great viewing experience! 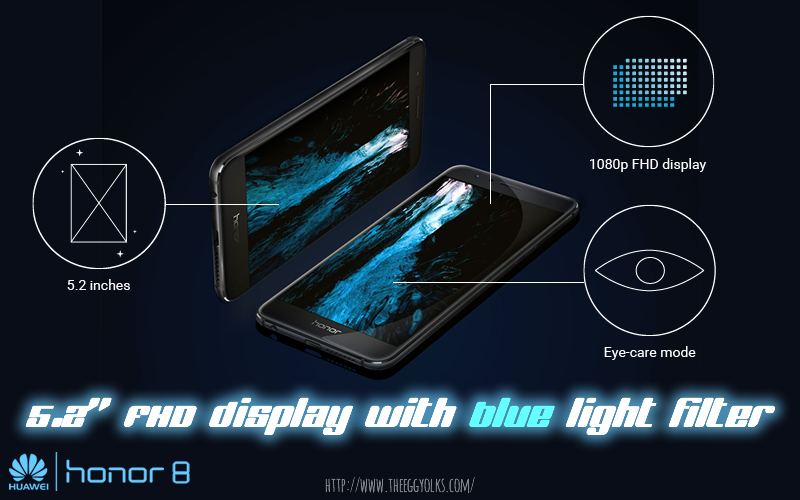 Not only that, it is engineered with a the "Eye-care" mode which filters our blue light to reduce eye strain and ultimately, took care of your eyes even when you're in the dark. 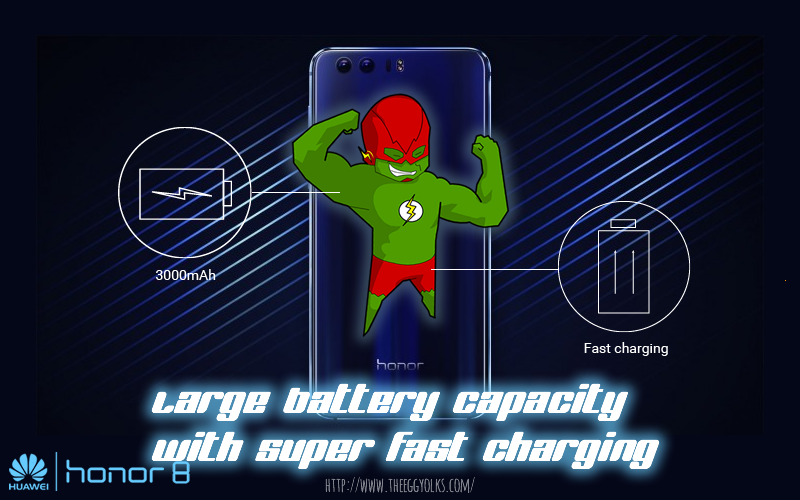 The battery capacity is as big as Hulk yet it charges as fast as Flash! 3000mAh + 47% charging in 30 minutes. One word! Unbeatable!! You don't even have to worry about bringing the bulky yet heavy power bank when you're outside. The 3000mAh battery will make sure that you'll have enough battery juice for at least 36 hours! Even if it really runs out of battery, just find a power socket nearby and start charging. You'll get almost half the battery charged in just half and hour! 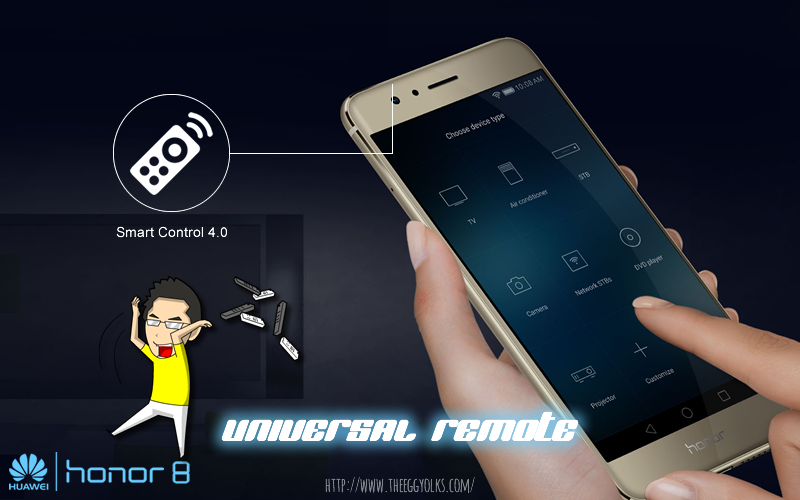 Everything will be under control with only one device, You don't have to worry about losing your remote control or even changing the fast depleting batteries in your remote controller! 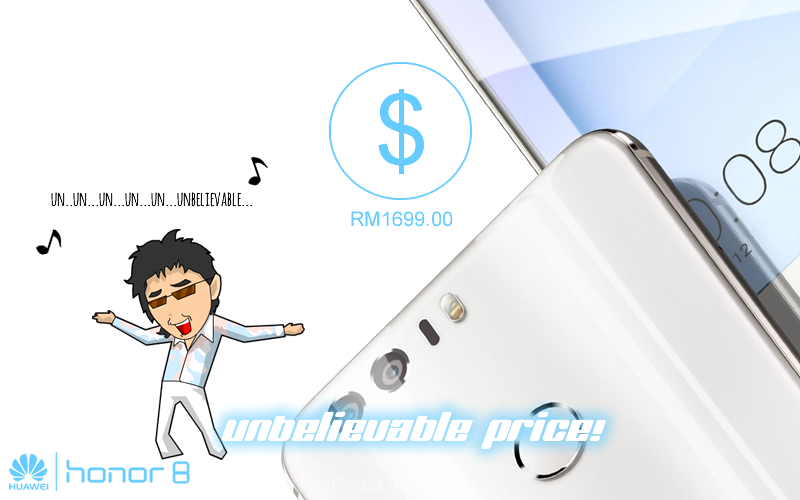 No.8 Un~ un~ un~ unbelievable price! FInally and also the most important reason to own an Honor 8. It is extremely affordable!!! It is almost 20% cheaper compared to other flagship mobile phones. 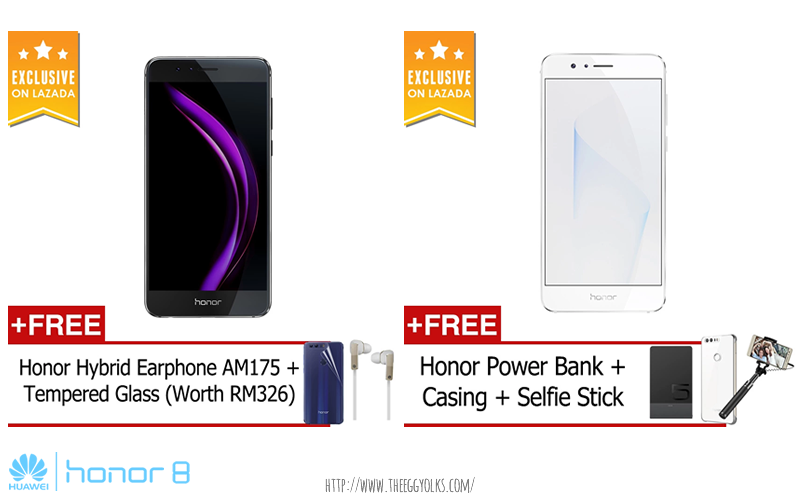 All you need is just RM1699 for Honor 8 (32GB). If you think 32GB internal storage is insufficient, you can choose the Honor 8 (64GB) with a slightly higher price, RM1899. 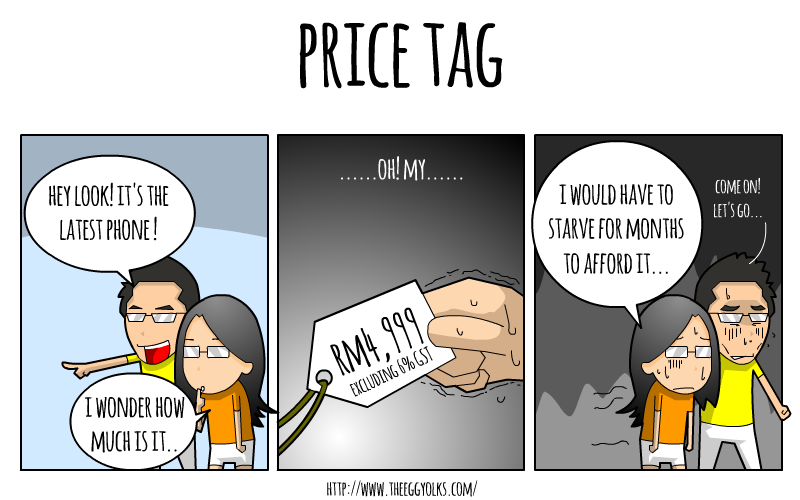 Just add RM200 and you'll double up the internal storage! What a bargain! What's more! You'll receive additional free gift if you purchase it from Lazada! Cheapskate like me will never say no to FREE GIFTS!!! 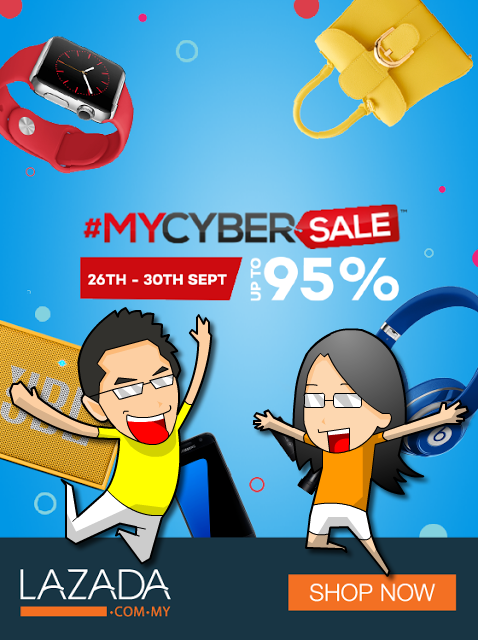 Browse Lazada for more offers and discount! 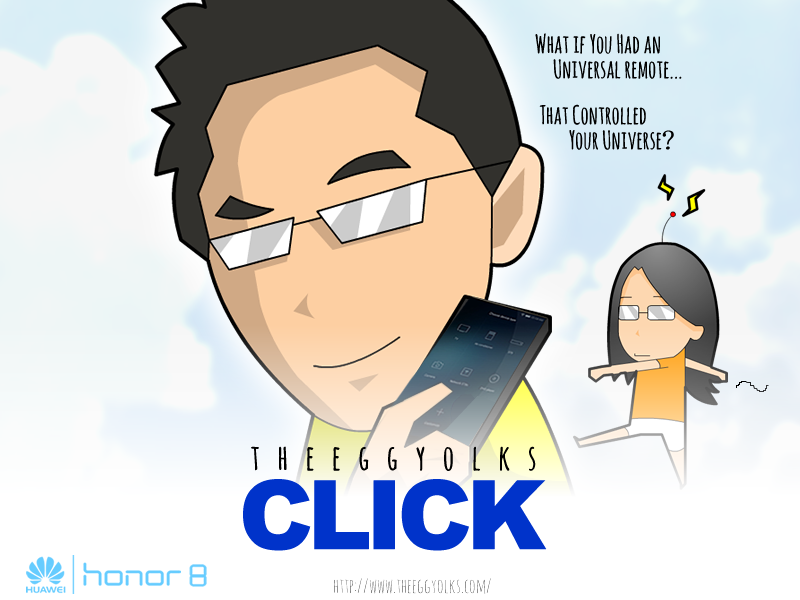 This post is an entry for the Lazada Affiliate Exclusive: Honor 8 Creative Blogging Contest.